Like a lot of her peers, Huron High School senior Gloria Dixon has plans to go on to college after she graduates in a few months. 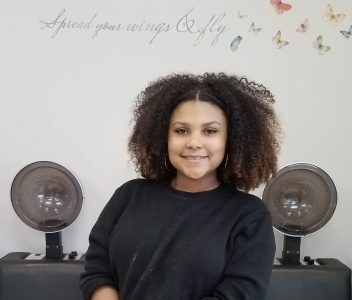 And because she’s been enrolled in a two-year program that will end with her becoming a certified state licensed cosmetologist, Gloria will have a skill set to help pay tuition. No matter what direction her career path takes, Gloria is happy about the foundation she has set for herself. “I love how this program gave me the opportunity to always have that Plan B,” she said. Since December, Gloria and her classmates have been enjoying new digs as they’re learning their trade. The Huron Valley Beauty Academy—owned and operated by the South and West Washtenaw Consortium and the Ann Arbor Public Schools—has moved out of the Washtenaw Intermediate School District into a former dance studio in Saline at 7025 E. Michigan Avenue at the corner of Moon Road. Students from Chelsea, Dexter, Lincoln, Manchester and Milan school districts study and train at the facility in the morning, and AAPS students take over in the afternoon. The HVBA is open to the public from 8 a.m. to 2 p.m. Wednesday through Friday, and offers a range of services at very competitive prices. To make an appointment, call 734-470-6536. 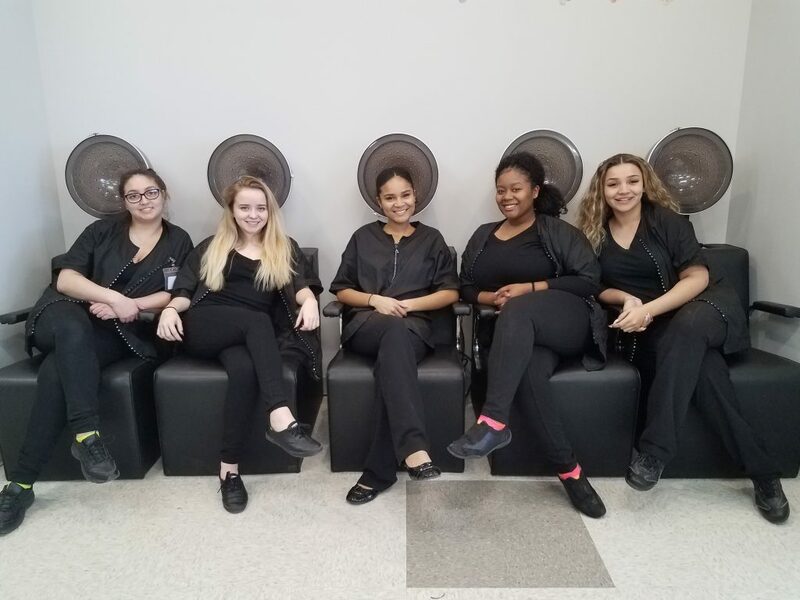 AAPS students pause for a photograph in the new Huron Valley Beauty Academy.